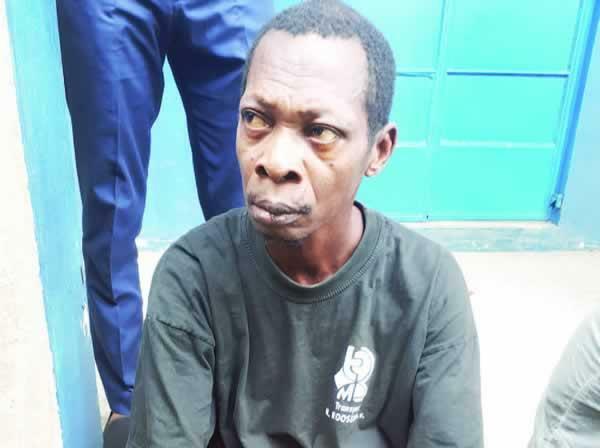 Father R*pes, Impregnates 13-year-old Daughter In Edo? A middle-aged man has been arrested by operatives of the Edo State Police Command for allegedly r*ping his 13-year-old daughter in the Ikpoba-Okha Local Government Area of the state. He was alleged to have started defiling the primary six pupil at the age of seven, which continued till she became 13 years old. The father, Friday Moses, was picked up by the police after a complaint by members of Okah community in the area. A police source told The Punch that the victim did not know that she was pregnant until it became obvious to some residents. “The girl did not even know that she was pregnant because of the constant abuse. It is a pitiable case,” the source said. But the suspect, a commercial motorcycle rider who hailed from Cross River State, denied any connection to his daughter’s condition. He said, “I was told that I impregnated my daughter. Someone else owns that pregnancy; she told them (community members) that I was responsible for it. Moses, who was paraded on Wednesday at the police command headquarters in Asaba, also claimed that efforts to get a wife, after the death of the victim’s mother in 2013, had not been successful. He said the family of a woman he courted gave her to another man. “I used to have a girlfriend, but her people quarrelled with me and told me to leave her alone because she was someone else’s wife,” he added. However, the victim insisted that her father was responsible for her pregnancy and had threatened to kill her if she exposed his action. The teenager said, “My father slept with me five times. He started when I was a little girl. “He would order me to come on the bed and begin to touch my waist. When I told him to leave me alone, he said that he would severe my head with a machete.